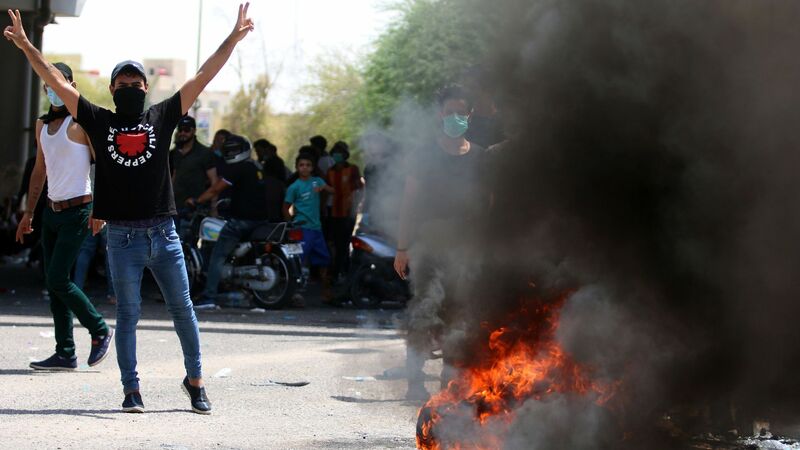 Protests that began in Basra over a lack of basic services and job opportunities have spread to several cities in Iraq and left at least eight dead and dozens injured, CNN reports. The big picture: Saad Jawad of London School of Economics told Al Jazeera that unless people see "concrete improvements in their lives that satisfy their demands — improvements in electricity, employment, services and actions against corrupt officials — they won't stand down." Basra is the "oil hub and Shia heartland" of Iraq, per the Independent, and holds 70% of Iraq's oil reserves, yet it suffers from crumbling infrastructure, unemployment and poverty. The region "has long been neglected" by the government, starting with dictator Saddam Hussein, per Reuters. Demonstrators are also fed up with political parties; one protestor, Abdulrahman Mohammed, told the Washington Post: "We've had enough of these parties who put Iranian interests ahead of us and treat the people like wood to burn when they need money." In addition to the eight killed, dozens have been injured and hundreds arrested, per Al Jazeera. Police officers and security forces are among those injured. Protestors have targeted "government buildings, branches of political parties and powerful Shiite militias and stormed the international airport in the holy city of Najaf," Reuters reports. The government cut off internet access, the Washington Post reports, in efforts to "contain further violence." Iraqi Prime Minister Haider al-Abadi announced a financial investment for the region worth $3 billion, Al Jazeera reports, pledging spending on infrastructure like schools and housing, as well as other services. Grand Ayatollah Ali al-Sistani, the country's top Shiite cleric, sided with the demonstrators, saying there is an "extreme lack of public services," NBC reports. A woman who lost her son in the protests, Um Faten, told CNN: "We are fed up with the situation — our sons had no other solution but to go out and protest. I want my children to live a normal life, but it seems we are losing hope that things will get better here." Protestor Murtadha Rahman, told Reuters: "I live in a place which is rich with oil that brings billions of dollars while I work in collecting garbage to desperately feed my two kids. I want a simple job, that's my only demand...I won't go even if you kill me."